Food is center stage in my home many days. Well, family is really front and center, but the kitchen is truly the heart of our family home, and we hang out there often. When I say that food is important to my family, I don’t mean constantly eating junk food. Taking the time to prepare healthy food with family is enormously rewarding. It is a family value and time well spent together in a warm comfortable and accepting environment. 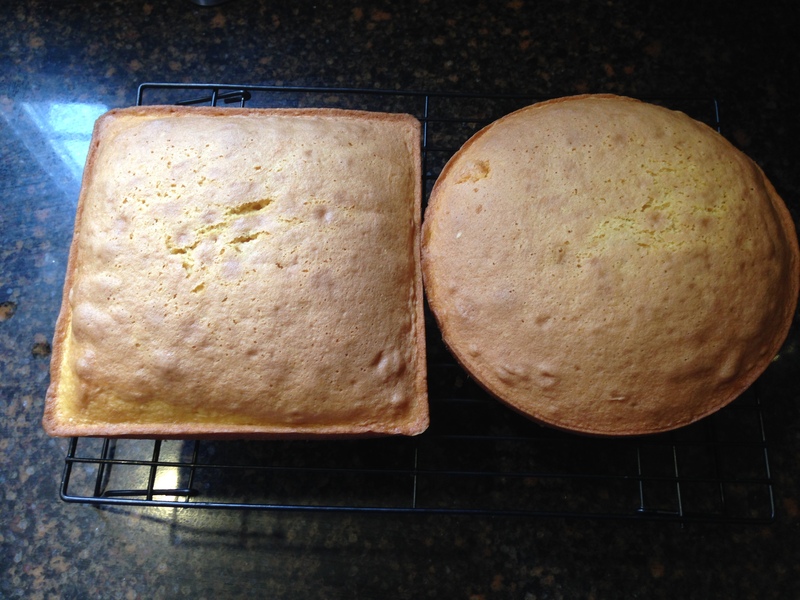 Make a round cake and a square cake. Cut the round cake in half. 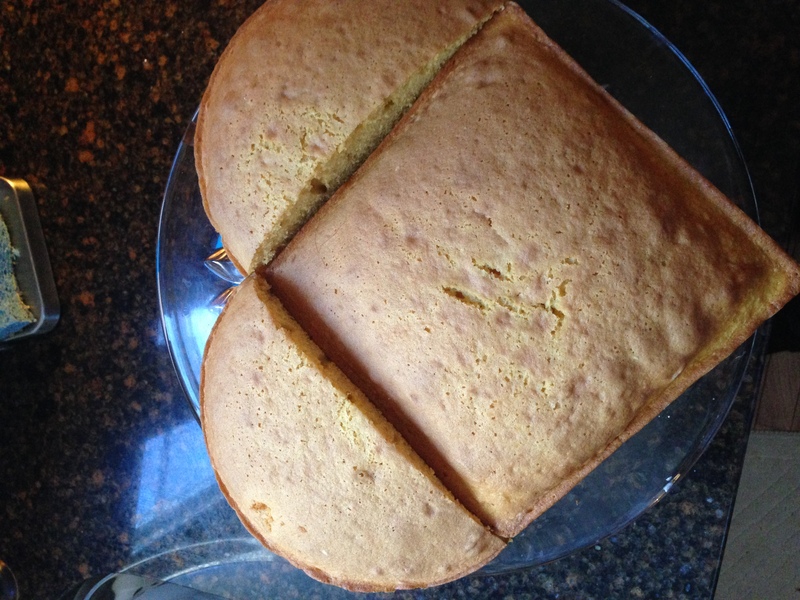 Place half on 2 sides of the square cake. frosting from scratch. I learned how to make out of this world frosting from my mom. She very wisely advised me to “always make a little too much frosting by accident”. Was she ever right! I was never voted Prom Queen, but when I make frosting I am Prom Queen for a moment..the most popular girl in the kitchen! What do I mean by popular? Let me tell you! Then frost your cake with love! smart kid. No line, no waiting, and a solid guarantee of a good dose of moms incredible buttercream frosting. Yup, that’s my boy! 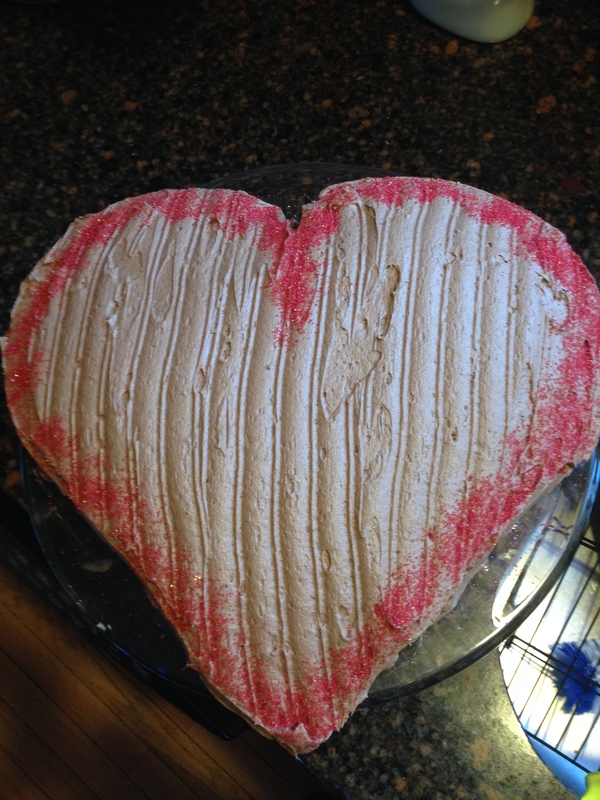 So why blog about making a valentine cake right after Valentines Day? No, I have not been hitting the cooking wine today. It is because I don’t celebrate Valentines Day. Well, at least not on February 14th that is. I celebrate it all year. I detest the idea that there is “one day of love” a year. Nope, I am not having any part of that. I live more of a robust life. I tell people I love them every single day. Genuinely. Confidently. Yep. I say I love you every day to the people in my life, not just on February 14th. The calendar does not define any “day of love” for me because it is every day. So make valentine day cake. Any day you want. And tell the people in your life you love them 365 days a year. It is great for the spirit, the soul, and a full happy heart.